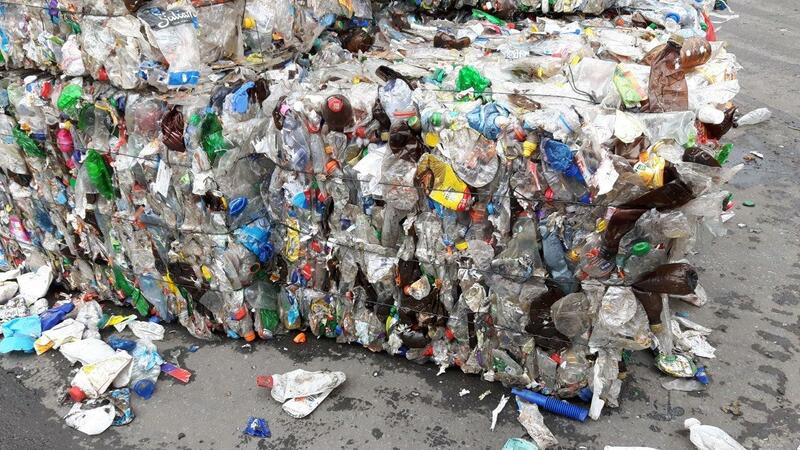 Every year, around 3 million tons of packaging waste is produced in Germany. Packaging waste is accumulated daily in every household and is then collected, usually in yellow bags or bins. How can high-quality secondary raw materials be obtained from this waste? Is it possible to produce new packaging from used packaging? The research project MaReK - "Marker-based sorting and recycling system for plastic packaging" deals with these questions. Three industrial companies and two research partners are working on the development of a new sorting system for plastic waste. The project began on July 1, 2017 and is scheduled to run for two and a half years. On this website you will find more information about the project. In recent decades, the volume of waste from plastic packaging in Germany has risen sharply. In 1991, 1.6 million tons were produced, by 2013 already 2.8 million tons - this corresponds to an increase of 77 percent . The World Bank assumes that worldwide plastic waste production will continue to grow and triple by 2100 . What happens at the end of the life of plastics and plastic packaging? How much plastic is released into the environment depends, among other things, on the development status of the country under consideration . According to a qualified estimate, between 4.8 and 12.7 million tons of plastic waste from coastal regions will have reached the oceans in 2010. By 2025, some 250 million tons of waste will have accumulated that have not been properly collected and treated . 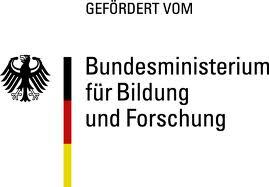 The collection, sorting and recycling of sales packaging from the post-consumer sector has been regulated in Germany since 1991 by the German 'Verpackungsverordnung' (Packaging Ordinance).The new packaging law requires that, from 2022 on, 63 percent by weight of plastic packaging should be recycled . Today, the total recycling rate of 99.6 percent  clearly exceeds the legally required total recycling rate of 60 percent. However, these values also include energy recovery (recovery of the energy contained in the plastic packaging by incineration). Therefore, there is still potential for material recycling. The high-quality recycling of plastic packaging does not work well for technical and economic reasons: non-hazardous plastic waste may be transported to non-OECD countries, so that there is a considerable outflow, especially to Asia . The currently proven sorting technologies are reaching their limits in regard to the further development of packaging and materials technology: The quality requirements for recyclates (secondary raw materials as a basis for the production of new quality products) are also increasing, for example to enable higher recovery rates in the packaging sector. The recycling of plastic materials still has growth potential - also for the packaging sector - and can thus contribute to securing raw materials. From the point of view of climate policy, it would be desirable to expand the material recycling of packaging plastics, as this can reduce CO2 emissions. How can the MaReK research project contribute to improved plastics recycling? This is described on this website. Schüler, K., 2015. Aufkommen und Verwertung von Verpackungsabfällen in Deutschland im Jahr 2013. Umweltbundesamt, Dessau-Roßlau. Hoornweg, D., Bhada-Tata, P., Kennedy, C., 2013. Environment: Waste production must peak this century. Nature 502, 615–617. University of Georgia, 2015. Study: Stunning amount of plastic waste in the oceans || University of Georgia [WWW Document]. Study Stunning Amount Plast. Waste Oceans UGA Univ. Ga. URL:http://www.uga.edu/about_uga/profile/study-stunning-amount-of-plastic-waste-in-ocean, accessed August 8th 2016. Jambeck, J.R.; Geyer, R.; Wilcox, C. ; Siegler, T.R. ; Perryman, M. ; Andrady, A.; Narayan, R.; Law, K.L., 2015. Plastic waste inputs from land into the ocean. Science 347, 768-771. Gesetz zur Fortentwicklung der haushaltsnahen Getrennterfassung von wertstoffhaltigen Abfällen. BGBl. Jg. 2017, Teil I Nr. 45. Bonn, July 12th 2017. BMUB, 2016. URL:http://www.bmub.bund.de/typo3temp/GB/77efd9f6a3.png, accessed August 23rd 2016. European Commission: Grünbuch zu einer europäischen Strategie für Kunststoffabfälle in der Umwelt. Brüssel, den March 7th 2013; COM (2013) 123 final; S. 10. Development of a marker-based sorting and recycling system from packaging development and sorting technology to high-quality material recycling. The MaReK project proves the suitability of fluorescent markers for waste management applications. The project is based on the Tracer-Based Sorting technology developed and patented by project partner Polysecure. With Tracer-Based Sorting (TBS), it is possible to distinguish not only - as before - different types of plastics, but also other properties, for example certain compositions or types of use, when sorting plastics. This is very relevant for material flow management in dual systems such as "Der Grüne Punkt" (Green Dot). The MaReK project investigates the integration and implementation of the marker approach in the existing system. Further information on TBS can be found on the "Tracer-Based Sorting" tab. The application of TBS for plastics sorting is being developed in this project on a pilot scale and tested in an industrial context. The technical core is the development and testing of a combination of packaging coding and the corresponding sorting process for the recovery of homogeneous materials. The speed, effectiveness and economic efficiency of sorting different mixtures of the collected fractions are investigated under industry-relevant boundary conditions. The project addresses the entire value chain of the packaging lifecycle from design to process development for marker application and sorting to material recovery. Additionally, approaches to new packaging governance are developed with the relevant stakeholders and should serve as a basis for a more sustainable use of packaging in the medium term. In this way, the MaReK project also creates a basis for complying with the higher recycling quotas for plastics from 2020 onwards, ultimately reducing the use of primary raw materials and thus protecting the environment. The individual work contents of the project are briefly described in the following sections. Development and production of plastic packaging marked with markers from the non-food sector for the subsequent tests as well as the derivation of transferability potentials for further areas of application. Adaptation of the fluorescent markers to the intended application. Development of a TBS sorting machine for packaging including construction of a sorting pilot plant (sorting machine plus material feed and discharge as well as inline sensors). Large-scale validation tests including determination of the quality and material properties of the sorted fractions. Development of an energy and material flow model (economic, ecological, technical) and determination of the ecological and economic framework conditions as well as drivers and obstacles for a successful process on the market. Development of stakeholder-specific approaches to increase the recycling rate and to improve material flow quality. Transfer of the results to the public. Tracer-Based Sorting (TBS) is based on special substances that fluoresce under certain conditions. They are used as markers (in very small quantities) to mark plastic packaging (for more information on the technological background, see the following sections). 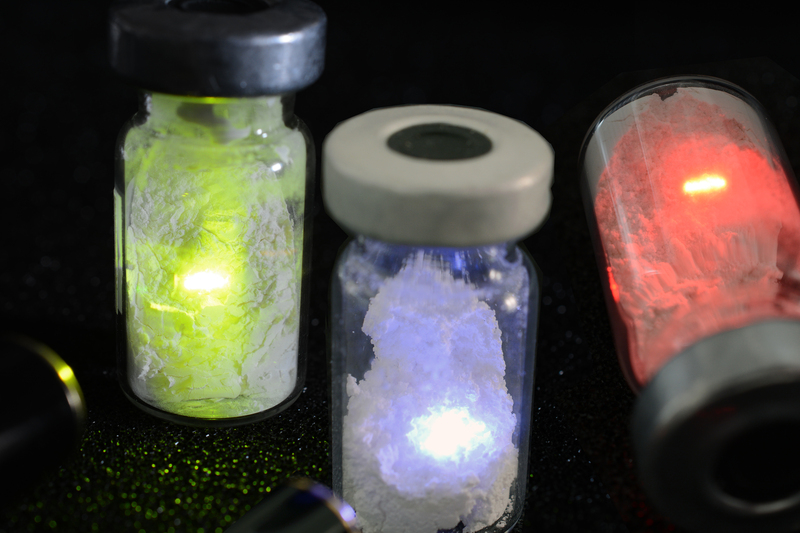 Another advantage of this approach is that in everyday use neither the sun nor other light sources are intense enough to produce the visible fluorescence. Packaging is labelled with a specific fluorescent marker according to its most economical recycling path. This can be done both in the packaging material and on the packaging decoration (e.g. the label). The marked packaging is separated from the enriched material stream (e.g. from bottle bales) in a step downstream of the current sorting technology. 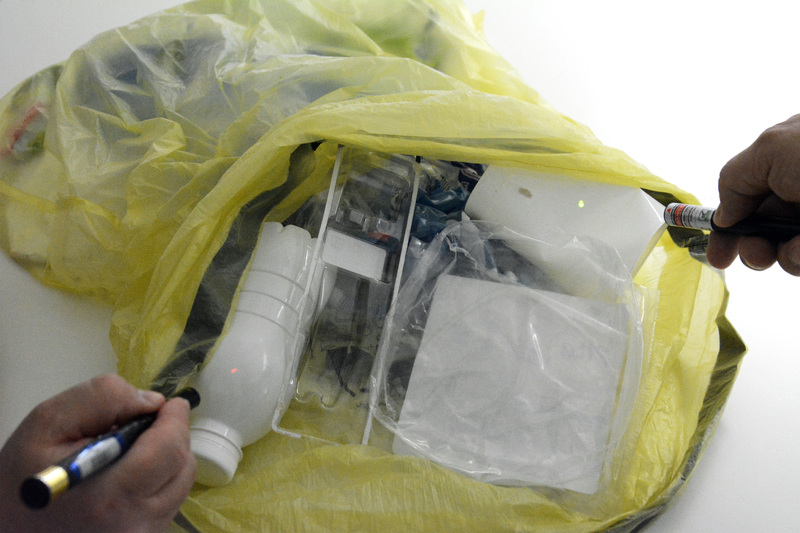 In the separated stream, the packaging decoration containing markers can be removed and made available for recycling. In this way, high quality and single-type plastic material fractions can be sorted out for recycling. In this way, TBS technology makes a considerable contribution to the expansion of material recycling. A concrete application example for the further development of existing sorting technology by TBS is the differentiation of PET bottles with increased oxygen barrier from other PET bottles without deposits. At present, there are practical separation tasks that even spectroscopic sorting technology cannot solve. Such separation tasks consist of the separation of different subtypes of the same type of plastic, the separation of material flows with characteristics restricting circulation and the separation of identical packaging. Within the scope of the project, it will be investigated to what extent TBS can solve these separation tasks as a supplement to the existing system of packaging recycling. Here you will find current publications on the project.